StellarQ offers reliable and cost-effective EHR and research solutions to health care professionals, decision makers and pharmaceutical industry. Our design philosophy is to provide immediate and practical benefits for people who use StellarQ products, by thoroughly understanding the customer needs. StellarQ MS displays patient history and status in one compact view, with easy access from overview to details. StellarQ's qualified clinical data products compile structured data about the health status of patients from all the key information providers (clinicians, patients, administration and core hospital systems such as laboratories). QCD has emerged as a valuable solution for harnessing the power of information technology to record evidence-based data to assist in decision-making and to optimize patient care. The data can be used to compare the performance of healthcare providers with regard to their treatment outcomes. 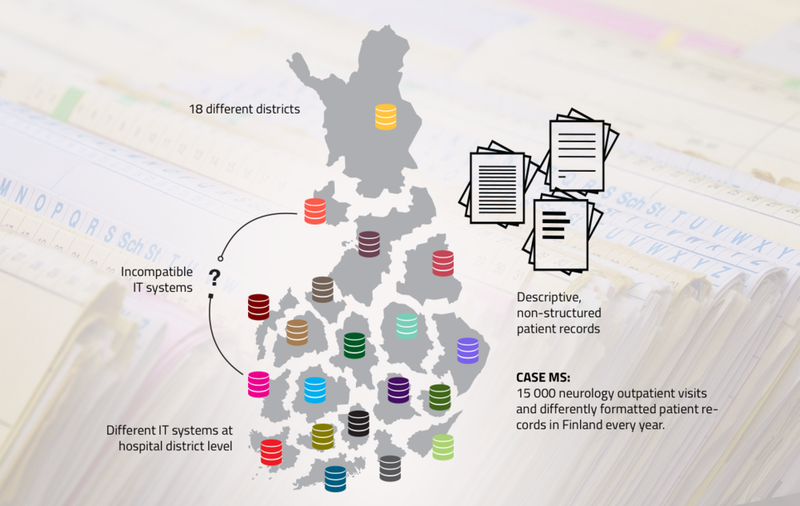 The QCD output provided by StellarQ is currently utilized in Auria Biobank in Finland. Based on our in-house clinical and research experience, and knowledge on administrative and regulatory processes, our products help clinicians assess the clinical and neuroradiological course of the disease, and provide a basis for monitoring the treatment response and pharmacovigilance. Our processes are compliant with the secondary use of anonymized data. For example, the data may be provided to the authorities for drug reimbursement applications, monitoring of safety, and pharmacovigilance.